If you are considering finding someone in Modesto to take care of your hydro-jetting, then you need to know you are getting the best in quality service. By working with the team here at Knights Plumbing & Drain, you can rest assured that you are getting the best Modesto plumber service there is. Or maybe you still need to know more about what this is before you make your decision. 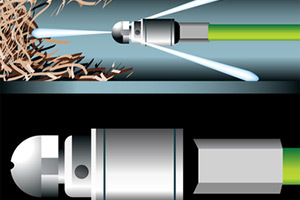 Hydro-jetting is a form of cleaning drains that can, literally, remove a lifetime of buildup inside drains using high-pressure streams of water. This powerful and effective cleaning process is similar to what using pressure washing for the exterior of your home can do. With pressure ranging from 7,000 to 60,000 PSI, any buildup you have doesn’t have a chance. This will help your plumbing and drains work better but also is effective in helping to completely do away with clogs and blockages. As a consumer, you want to feel confident that you are getting the best service for the money you are going to spend. In today’s economy, it is all about making smart choices and getting value. Value isn’t always about getting the cheapest, it is about getting the best quality for the price you pay – something you get by working with Knights Plumbing & Drain each and every time. We are 100% committed to offering you only 100% customer satisfaction. We don’t believe in just aiming to meet your expectations, we strive to exceed them. This way you can always feel confident about making the choice to work with us. We take great pride in the work that we do and that shows in the results that we get and helps to earn your loyalty as a long term customer. Your satisfaction is of the utmost importance to us and we will always do whatever it takes to offer you the best in service, which means we always go above and beyond. We look forward to working with you and showing you what our hydro-jetting service can do for you. Give us a call and let’s get started. Don’t take chances when it comes to the company that you work for and the the workmanship and customer care you get. We realize you have many options to choose from for your service provider, but you will quickly see what makes us the number one choice. Call today to find out more. When it comes to getting the Modesto hydro-jetting service you want and need, you can count on the Knights Plumbing & Drain team. Let us show you what makes us number one. We can’t get started until you give us a call, so do so, right now! If you are looking for an expert Modesto Plumber for Hydro-Jetting then please call the professionals at Knights Plumbing and Drain or complete our online request form.